While Andre Benjamin and Antwon Patton have not released a cohesive LP since the fall of 2000, the specter of Outkast continues to loom over our cultural moment. From their seminal, but slept on, 1994 album Southernplayalisticadillacmusic to the chart-topping SpeakerBoxxx/LoveBelow, we see the group gain millions of fans and gather almost universal critical acclaim. And, while we take for granted the flood of lil’s, young’s, man’s (and mane’s) who dominate the airwaves of our favorite hip-hop and R&B stations, and yes, even occasionally roll our eyes at the hijinx of Nene, Sheree, Tiny and Toya, it goes without saying that in the last 15 years, black popular culture looks and sounds a lot like Atlanta. A closer look at the various forces inextricably connected to the group’s rise presents a picture of not only a pop culture sensation but also a group sitting uncomfortably at the nexus of our nation’s political, social and cultural crossroads. In this way, the group’s real and imagined tensions help make sense of the profound shifts that were occurring both in the South and America as a whole during the last quarter of the twentieth century. It should be no mystery that the most prominent rap group of the last 20 years emerged from a southern state. Cultural shifts depend on socioeconomic shifts and no socioeconomic shift was greater in the last quarter of the twentieth century than the rise of the Sunbelt South. As jobs and factories shifted away from the Midwest and a rising anti-liberal mood turned against municipal taxes, unions and the urban poor, the once maligned American South was now the model for how the sluggish postindustrial United States economy could be revitalized. Advertising low taxes, affordable suburbs, non-unionized labor, and black leaders that partnered with big business, the South was now at the forefront of national progress. The crown jewel in this “sunbelt strategy” was Atlanta. “The city too busy to hate” had a reputation of placing the interests of big business over the demands of segregationists, which allowed the city to attract multinational corporations and retain a “creative-class” of labor to fuel the city’s booming high-tech sectors. While the capital produced by these corporations and high-tech workers was divested away from the central city and into suburbs and exurbs in Atlanta’s surrounding counties, the partnership between big business presence and the growing black middle class softened criticism that not enough was being done for the city’s black poor. Enter Outkast. Revisiting and revising the space in the black musical tradition where one balances the tightrope between 11:00 pm Saturday night and 11:00 am Sunday morning, Outkast presented a radically different — albeit still fraught — vision of a postindustrial city. 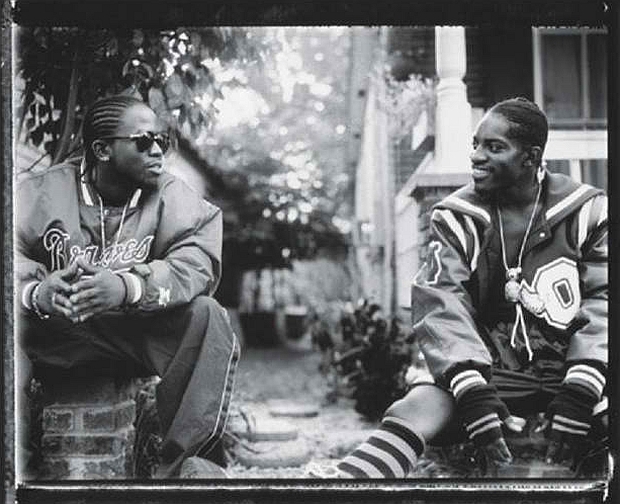 Through the hazy funk-sampled production of Organized Noize, Andre and Big Boi rapped against hip-hop’s traditional narrative of the city as carceral space that could only be addressed with nihilistic rage. For Outkast, a player’s ball could be a “black man’s heaven”; from behind the windshield of a 1975 Cadillac El Dorado, one could see the Promised Land just off in the horizon. More than any group of their era, Outkast could romanticize the gendered and commercialized spaces in black southern life while still remaining firmly rooted in the rawest, funkiest, most beautifully human aspects of day-to-day life. No wonder the group was booed at the 1995 Source Awards. At the moment when tales of authenticity and urban realism subsumed rap culture, Outkast asked for listeners to follow them into an Inception-like dream world without a totem. 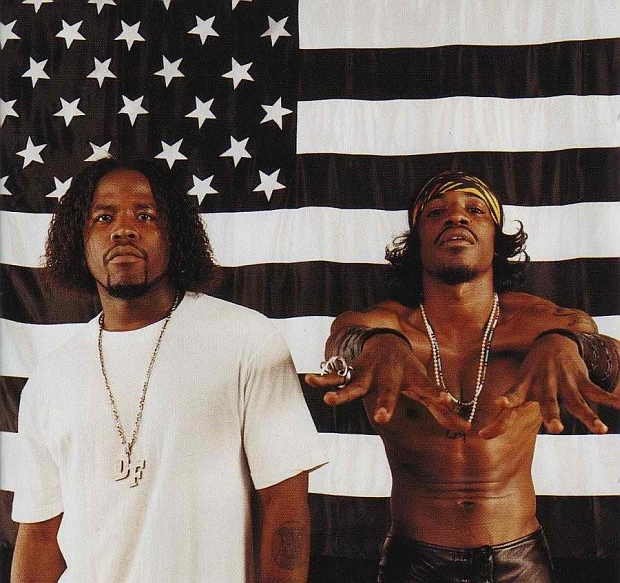 The South, as Outkast had imagined it, was still illegible to most hip-hop listeners. 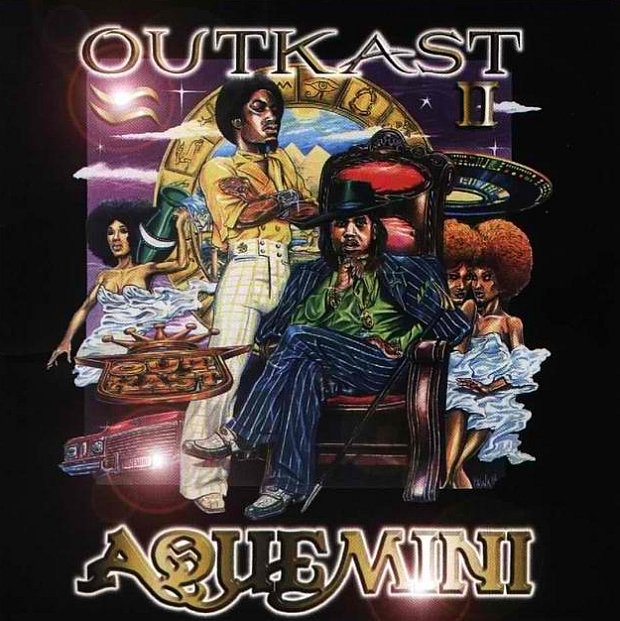 While we should be critical of the way Outkast is presented to listeners, we should also be aware of how the post-Aquemeni division is representative of the way hybrid spaces and radical alternatives often get re-inscribed into the traditional boxes that order our society. If we read Atlanta as the model late 20th century city, then we must understand Outkast as the model music group of this same moment. In our post-civil rights moment America’s historically rooted inequities are still present but are becoming increasingly unnameable in our public discourse. More specifically, we should be guarding against any efforts to sanitize the South’s history. In the same way that a re-branded “New South” is meant to cover the stench of slavery and segregation, Outkast, when presented as a neatly bifurcated binary, allows the listeners to avoid entering Outkast’s world on the group’s terms. Rather than rinse our history clean of displeasing elements, it may be more useful to leave it drenched in funk. 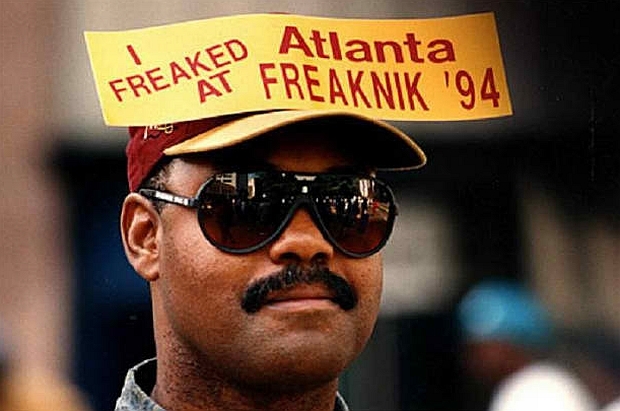 Just as various black American musical traditions blur the line between the sacred and profane; Outkast, and by extension, Atlanta, embody the enumerable tensions in our society that cannot be separated from one another. The flight into the suburbs is always haunted by the unseen poverty of the central city. The long-standing tradition of black middle-class respectability and community uplift symbolized by the Atlanta University Center must be coupled with the Bacchanalian excess that comes with having the luxury of leisure time in a consumer society. While it is easy to imagine oneself as wholly in one world or another — and indeed there are specific cultural and institutional mechanisms designed to reinforce these divides — the most precarious problems of the twenty-first century will require us to build on the past, even if it is rooted in trauma we would rather forget. The raw, funky, contradictory elements of life are signs of history; and, more importantly, signs of struggle.